First few minutes and I’m really impressed with the character designs for the show. I expect good ones BUT DANG ARE THEY GOOD OR WHAT. The introduction to the setting is brief and the story jumps right into the action with Free, Marlya, and Veronica our presumable main protagonists and antagonist. As I mentioned in my Anime Season Preview, the fairy looks like their CGI and after watching the first episode I can confirm that they are, indeed, CGI. While I can see why P.A. Works made the decision to make them CGI, I’m still hesitant on saying that it was the right choice. While the consistency of the Fairies stay true and allows for more dynamic cinematics for the fight scenes, the switch between CGI and 2D animation breaks the immersion throughout the episode. Aside from the art, the soundtrack (including the opening and ending themes) sound great and really brings the energy to the show. 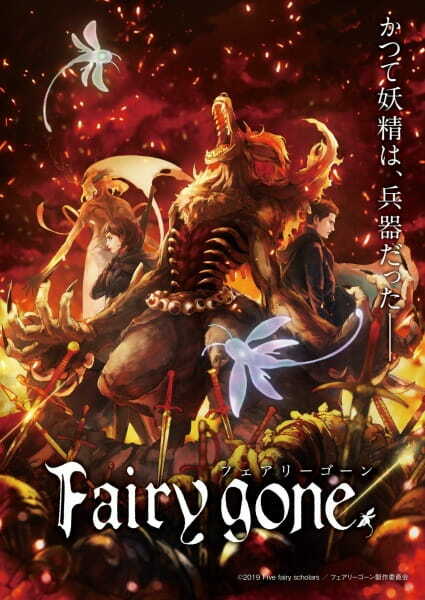 Fairy Gone hasn’t revealed a whole lot of information regarding the storyline but I’m hoping it develops in an organic way rather than the standard anime formula (episode 1-4 character introduction/training arc, episodes 5-9 protagonist and antagonist conflict/backstory, episodes 10-12 final battle). It’s always good to check out original anime and see how studios push the boundary of anime to the next level. There’s more of a sense of freedom with original anime compared to adaptation. Fairy Gone has a very peculiar storyline and it’d be a shame to miss the hype train.